Oct 10 (Reuters) – Regulators from the United States and the United Kingdom will get together in a war room next week to see if they can cope with any possible fall-out when the next big bank topples over, the two countries said on Friday. Treasury Secretary Jack Lew and the UK’s Chancellor of the Exchequer, George Osborne, on Monday will run a joint exercise simulating how they would prop up a large bank with operations in both countries that has landed in trouble. Also taking part are Federal Reserve Chair Janet Yellen and Bank of England Governor Mark Carney, and the heads of a large number of other regulators, in a meeting hosted by the U.S. Federal Deposit Insurance Corporation. “We are going to make sure that we can handle an institution that previously would have been regarded as too big to fail. We’re confident that we now have choices that did not exist in the past,” Osborne said at the International Monetary Fund’s annual meeting. Six years after the financial crisis, politicians and regulators around the globe are keen to prove they have created rules that will allow them to let a large bank go under without spending billions in taxpayer dollars. They have forced banks to ramp up equity and debt capital buffers to protect taxpayers against losses, and have told them to write plans that lay out how they can go through ordinary bankruptcy. The plans are so-called living wills. 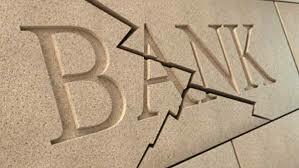 Yet salvaging a bank with operations in several countries – which is the norm for most of the world’s largest banks such as Deutsche Bank, Citigroup Inc and JPMorgan – has proven to be a particularly thorny issue. Because the failure of a big bank is such a rare event, regulators may not be used to talking to each other. There have also been suspicions that supervisors would first look to save the domestic operations of a bank, and would worry less about units abroad. The exercise comes as regulators are about to bring to fruition further initiatives to make banking safer. The first would force banks to have more long-term bonds that investors know can lose their value during a crisis, on top of their equity capital, to double their so-called Total Loss-Absorbing Capacity (TLAC).